Rent Hotel Valley Ho | Corporate Events | Wedding Locations, Event Spaces and Party Venues. Whether you're hosting 10 guests or 500, choose from over 13,000 square feet of versatile indoor event space and 20,000 square feet of lush outdoor space. Ballrooms have more bling with professional A/V services, and boardrooms feature Herman Miller executive chairs and wall-mounted HD TVs. 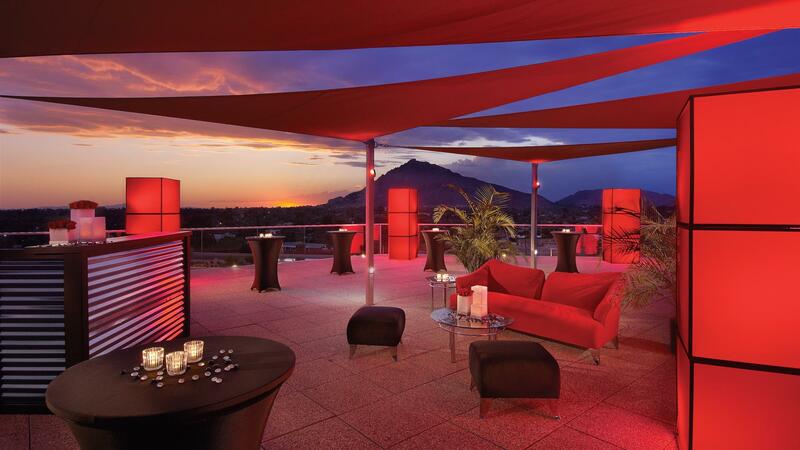 Hotel Valley Ho offers the only rooftop terrace with 360° views of Scottsdale. And Sands is a one-of-a-kind private venue with a built-in bar, kitchen, and lush, winding patios. This is not just another day at the office. From full-stage productions to car debuts, Valley Ho and SoHo ballrooms are hip venues for your next event. Add some flair with modern styling, floor-to-ceiling glass, and full audio-visual capabilities. Admire panoramic views of Camelback Mountain and Downtown Scottsdale atop the seven-story Tower. Looking to host a splendid lunch, unforgettable sunset cocktail reception or a mind-and-body-balancing yoga class? Sky Line Rooftop is the perfect venue to host your next, breathtaking event.